Hours after the rout in Delhi, the BJP got two wake-up calls from partners: Uddhav Thackeray of Shiv Sena said “people of Delhi have shown that a tsunami is mightier than a wave” while Mufti Mohammad Sayeed of PDP told the BJP it “must not ignore the message of the voters… the Delhi elections have asserted the diversity of our country and the need to respect it”. But closer home, a third partner, SAD candidate Manjinder Singh Sirsa, tore into the BJP, blaming his defeat on its hardline politics and the decision to name Kiran Bedi as the chief ministerial candidate. The richest candidate in the fray who lost his seat from Rajouri Garden, Sirsa said he was standing next to Union Minister of State Sadhvi Niranjan Jyoti when she made her ‘ramzaadon-vs-haramzaadon’ remark at a public meeting. It was this remark and the support that the BJP sought later from the Dera Sacha Sauda sect that “finished my chances of winning”, he said. Sirsa, who won the assembly seat in 2013, said: “The language she (Jyoti) used is not acceptable to anyone. It immediately alienated Muslim voters of my constituency. Of the 9,000 Muslim votes, I got only 107, the rest went to AAP. Of the 4,400 Valmiki votes, AAP got 3,000 and the rest got divided between me and the Congress candidate. What she (Jyoti) said helped no one at all,” he said. “In Delhi, people are educated. They believe in secular tolerance and in everybody’s right to practice their religion. Fundamentalist views don’t go down well with them,” he said. He questioned the BJP decision to project Bedi as a CM candidate. “They brought in Kiran Bedi and declared her the CM candidate. What was the point? Did anyone benefit? They brought in MLAs and MPs who had lost, like Krishna Tirath from Congress. What message were they trying to convey? They never consulted individual MLAs before taking these decisions,” he said. He said there was need to introspect and improve communication channels between the BJP and SAD. “Individual MLAs weren’t consulted about ground realities. 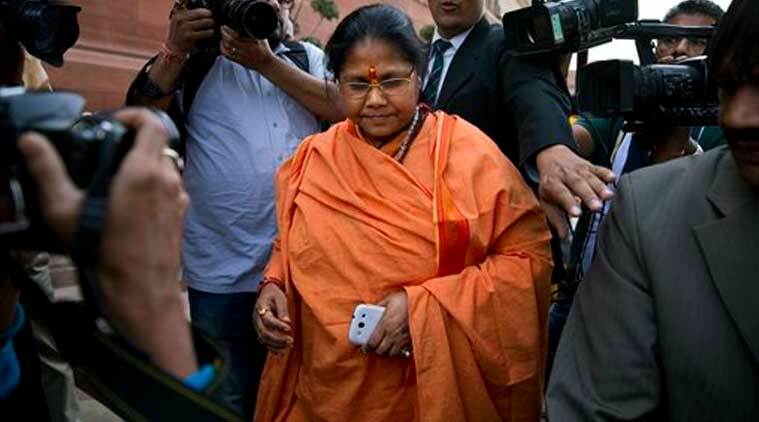 I had not asked for her (Sadhvi Niranjan Jyoti) to come and campaign for me. The BJP at the Centre decided what issues the Delhi campaign should be fought on. The AAP went from house-to-house and individual MLAs were consulted,” he said. “How can the BJP take support from Dera Sacha Sauda before consulting us? We are their allies, we’re helping them in Haryana and Punjab. Yet I learn from others that it is taking support from Dera Sacha Sauda. I put out ads in newspapers and told the media that we were against the group. But it was already too late,” he said. “If I had known that they’d be taking support from him (Dera Sacha Sauda chief Gurmeet Ram Rahim) before I filed my nomination, I wouldn’t have contested. I contested only because I didn’t want to be called a bhagoda (absconder),” he said.